Well, if you thought there would be a day where the far left wing of the House Democratic caucus would quiet down a bit, given their anti-Semitism issues, you’d be wrong. Rep. Alexandria Ocasio-Cortez (D-NY) sent a fundraising email last night suggesting that AIPAC was coming after her and that the U.S.-Israeli relationship should be severed. No, I’m not kidding. This is insanity. 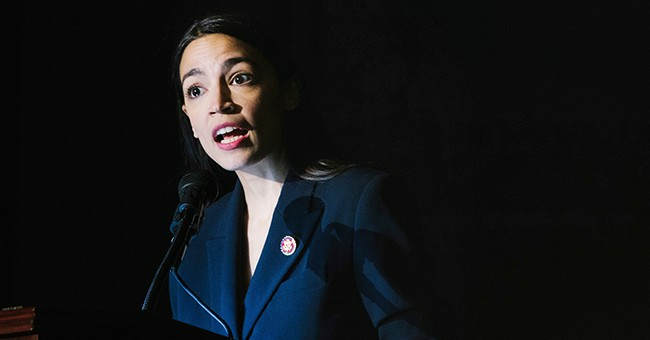 AOC has been one of the few defenders of Rep. Ilhan Omar (D-MN), who once again was accused of anti-Semitism for suggesting those who support Israel are exhibiting dual loyalty. The latter is a common anti-Semitic smear. Omar has also peddled the talking point about Jewish money and influence with her “all about the Benjamins” tweet. AOC was targeted stupidly for what she wore during orientation and her inability to pay for a D.C. apartment. But on policy, she’s fair game. And recently, she’s been peddling some straight up idiocy.